This is a guide full of exercises and examples for achieving the kind of approach to writing from personal experience that will help you find wonderfully deep and surprising material! I write instruction like this every week for Writing It Real. I hope you’ll enjoy the book! Yours in Writing, Sheila Bender. A correspondence between two writers reveals how their personal lives and daily experiences inform the writing process. Sheila Bender and Christi Killien meet at a writing conference and later decide to produce a book about writing. Living in different cities, they begin by writing each other letters that capture their approaches to writing, how they find the “starting place” for new work, and the ways they make it through the nonlinear process of telling their stories. 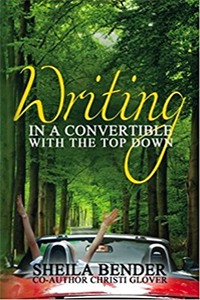 Writing In a Convertible with the Top Down has been used widely in writing classes and workshops. Purchase this book through Amazon. Writing can be a powerful tool for anyone going through the mourning process. 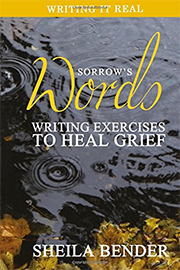 Poet, author, and writing instructor Sheila Bender offers guidance for writing about loved ones who have died in Sorrow’s Words: Writing Exercises for Healing Grief. 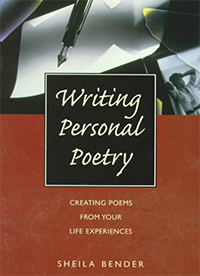 The book contains sixteen unique writing prompts that help readers express their real experiences. 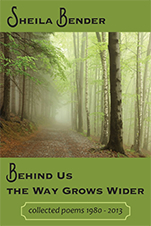 Each chapter contains examples written by literary masters as well as ordinary people. 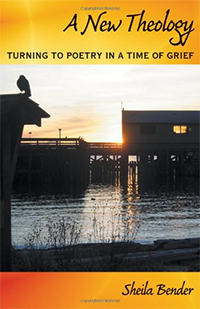 Poets and writers have called Sheila Bender’s work generous, windows of light, precise, clear and unpretentious. William Matthews wrote of her poetry, “The clarity–both emotional and linguistic–of these poems is testament to the work Sheila Bender has set for herself: to understand as far as she can and then to admit, in the presence of mystery, that ignorance that forms for us, every day, three square meals. I love these poems both for that diligence and themselves. 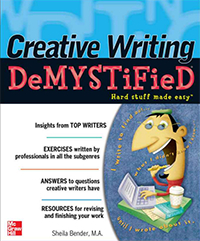 Whether for high school, college or pleasure creative writing, you need to know the basic elements of the craft.Creative Writing DeMYSTiFied gives you helpful suggestions for evaluating your work for freshness and originality and offers scores of exercises, techniques, samples and websites to access more. The book introduces you to general creative writing terms and craft as well as genre specific terms and craft elements. Creative Writing DeMYSTiFied lets you work at your own pace and provides: An overview of the creative writing field today and its history, insights from top writers in the creative writing subgenres, exercises by professionals in all the subgenres, answers to questions creative writers have, and resources for revising and finishing your work. With this guide, you can reach new levels of self-knowledge and revelation. A Year in the Life gently lead you through one full year of introspective writing, using weekly prompts and topics as a springboard into your deepest feelings. 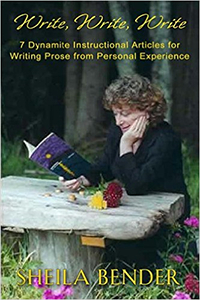 A respected teacher and author, Sheila Bender provides the perfect blend of structure, guidance, and creative freedom, motivating you to begin writing today and continue on throughout the year with zest and satisfaction. 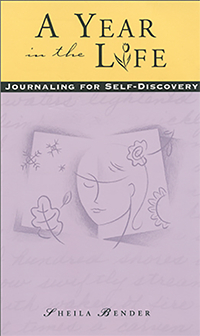 Her guidance also take you beyond ordinary journals, helping you reap more from the writing process. Beginning with 12 things you can do to help yourself write poetry, poet and teacher Sheila Bender shows you how to peel away your inhibitions and get in touch with your deepest, truest feelings. 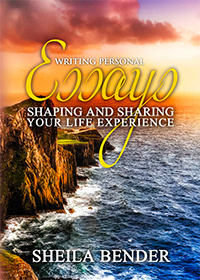 She explains poetry as a process of personal and creative growth, guiding you through an examination of your emotions and memories so you can begin to put your feelings into words. 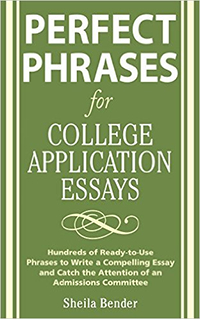 Perfect Phrases for College Application Essays has the tools to communicate exactly what you want to say, with the style and panache that display your individual intelligence and creativity to the application board. This vital resource gives you all the phrases you need to get things done, exactly the way you want it done, right at your fingertips. Click here for a list of ALL the books by Sheila Bender on Amazon, including those that are out-of-print and only available used. Email info@writingitreal.com if you have questions.